Last May, when Argentina’s informal exchange rate for the “blue dollar” rose above ten pesos for the first time, it quickly acquired the nickname “Messi dollar” from the number of the country’s Barcelona-based soccer star, widely considered the best in his sport. After a respite, it recently rose above ten again, leading me to wonder whether the government’s inept attempts at currency manipulation might instead lead to a “Spinal Tap dollar.” In fact, it's done all that and more, with President Cristina Fernández de Kirchner and Economy Minister Axel Kicillof arguably standing in for Nigel Tufnel (who appears in the video below). Since January 8th, when I crossed into Argentina from Chile, I’ve had to deal with the issue from a practical standpoint – with a limited budget, not wanting to extract pesos from ATMs at the official rate, I’ve had to seek money-changing alternatives. This has also raised an internal editorial conflict, as I have to decide whether to calculate prices at the official exchange rate (6.8 pesos as of yesterday) or the blue rate of 11.9 (a breach of 75 percent between the two) in the upcoming fourth edition of Moon Handbooks Patagonia. Reluctantly, I’ve decided to go with the official rate, even though matters could look quite different by the time the book appears in print later this year. Though this might make Argentina look costlier that it really is (for me, at least), I’ve decided to take the position that many if not most short-term visitors won’t feel comfortable using what is euphemistically called the “parallel market.” Having said that, I’ll describe how I’ve gone about it, and leave it up to readers whether or not they wish to do so. I arrived at Villa La Angostura (pictured above) with just 80 Argentine pesos, which I had obtained for a ten-dollar bill at an exchange window at Chile’s Paso Cardenal Samoré border post. That allowed me to enjoy a small dish of ice cream with a bit of change left over, but the rate was obviously not optimum. I had to go looking for another place to be able to pay for a room for the night and beyond. Last year, in Buenos Aires, I had a regular purchaser for my dollars at a downtown business, which was less convenient than the corner ATM but paid me substantially more. I usually made a morning phone call, and they would check the daily rate (now available at sites like Precio Dólar Blue and also as an app for the iPhone in addition to Android systems). The app, though, didn’t help me find a purchaser in VLA, so I walked into the first inmobiliaria (real estate broker) I saw on the main drag and asked if he would be interested in purchasing dollars. 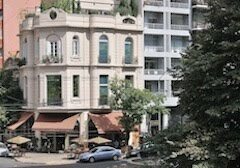 Argentine real estate transactions typically take place in dollars, so they’re often needed. He couldn’t help me himself, but did direct me to another broker who happily handed over 3,000 pesos in exchange for the 300 dollars I had on me. Still, I found evidence of variable rates around town – the exchange house Cambio Andina, ostensibly limited to paying the official rate, was willing to go to 9.6, and the Tinto Bistro (owned by the brother of Holland’s Queen Máxima) said they’d offer 8.6 to nine to pay for a meal. A few days later, in San Martín de los Andes, another branch of Cambio Andina offered me ten pesos per dollar, but only for bills of US$50 or US$100 – they would only pay the official rate for smaller bills. 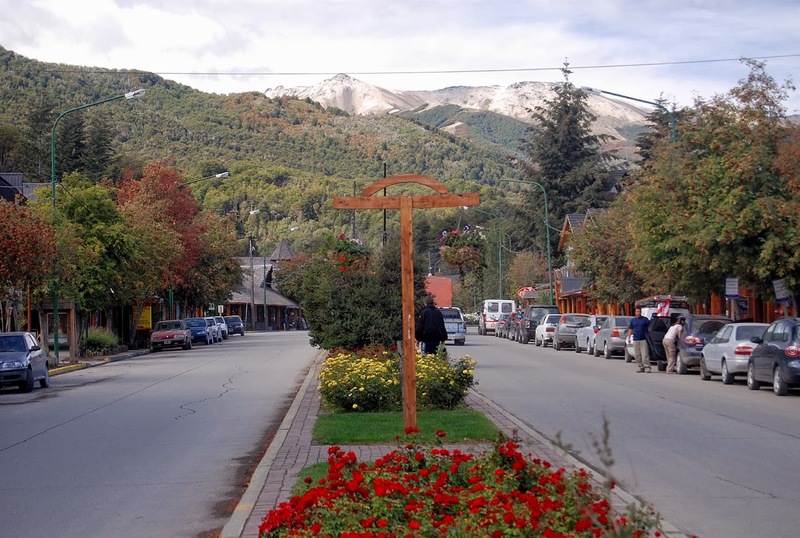 Certainly Cambio Andina, which also has a branch in San Carlos de Bariloche, is a low-risk choice to change dollars even if their rate may not be the best available. Still, potential visitors have to consider carrying larger bills even though stateside ATMs rarely dispense anything larger than US$20 banknotes. One business owner whose clients are almost all foreigners expressed concern that her guests often paid in twenties, which she cannot easily exchange on the informal market. Having to track down a new money-changer in every town is a nuisance, but it’s not the only one. In Argentina’s inflationary economy, the largest available bill is a 100-peso note, now worth less than US$10 at the informal rate – a government that denies inflation refuses to print any larger denominations (non-governmental analysts estimate inflation at about 25 percent). After changing US$700 for friends in Neuquén, I have more 70 of them on hand, and they don’t fit easily in my wallet, but I don’t care to leave them elsewhere and my leg pouch is still full of my remaining dollars. And Now For Something Not Quite Completely Different? 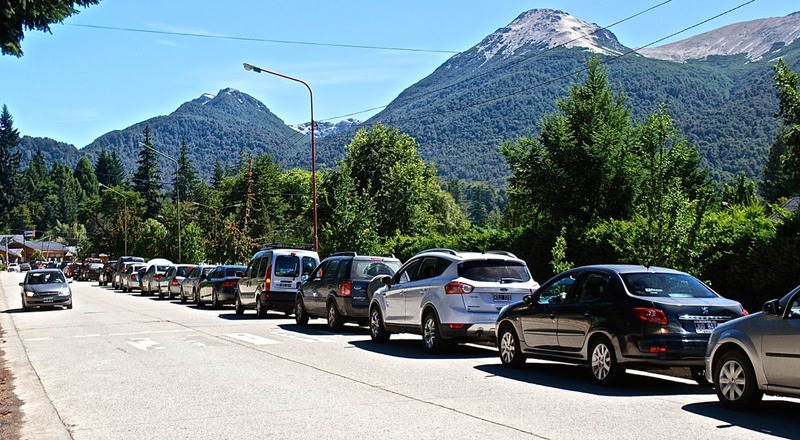 While we're talking about shortages, I have seen long lines for gasoline in many cities that I’ve visited so far, but most notably in Villa La Angostura, where I waited in a line of 50 cars to fill the tank. What are the risks involved with the blue market? This is a good question. If you're changing with friends or trusted businesses, virtually zero. At a regular exchange house, very low, though sometimes the government puts pressure on them. At a real estate office, probably very low. Changing in the street, though, risks being shortchanged or given counterfeit bills. Paying your hotel bill or restaurant or some similar item, very small risk. Foreigners, however, cannot purchase flights or international transportation, such as the ferries to Uruguay, with Argentine pesos.